Ikea over the years has made a name for itself as a trustworthy and affordable source of stylish home decor. In Russia to promote their new PS 2014 collection they teamed up with Moscow-based agency Instinct to produce a campaign that approached Instagram in an entirely new way. 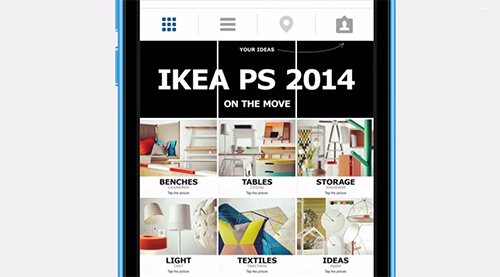 The Ikea_ps_2014 Instagram account served as their campaign website, with each post representing a product category like Benches or Tables. On tapping the individual category pictures, hidden tags were revealed that offered a “link” to each product within that category. Every one of the 34 items in the collection also received their own Instagram accounts e.g. ps_laptop_station and ps_side_table. The Instagram app was certainly never meant to be an Ikea catalog website, but this innovative use has its roots in previous brand campaigns. Early this year Mazda and JWT Canada turned the car-maker’s Instagram feed into an interactive road trip, replacing car specs with images and videos that followed the vehicle on an epic adventure. Over the course of four months, the campaign “Long Drive Home” helped grow Mazda Canada’s Instagram following by more than 300%. 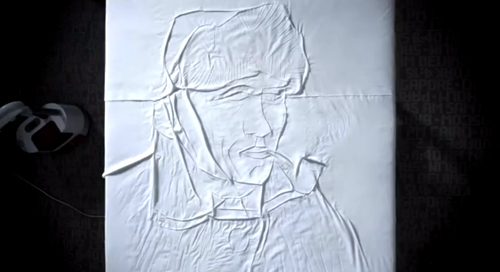 Similarly, the Toronto Silent Film Festival turned their feed tsff2014 on its side, creating an interactive timeline complete with factoids and video clips to celebrate Charlie Chaplin’s 100 years on film. Unmanned aircrafts have been used to carry out military strikes, to film weddings and someday will even be used someday to deliver products from companies like Amazon, Netflix, Francesco’s Pizzeria and Flower Delivery Express. As ordinary advertising channels continue to be congested, Russian creative agency Hungry Boys used drones to advertise noodle company Wokker. 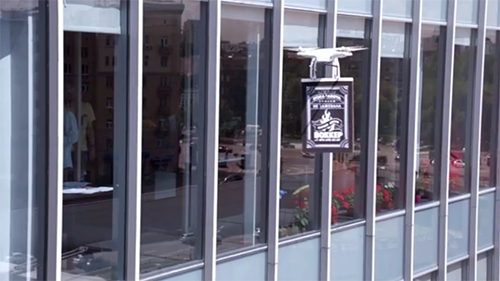 Wokker banners were attached to drones and launched around high-rise business buildings in Moscow’s financial district, drawing the attention of hundreds of people as they flew past office windows. This resulted in deliveries in the campaigned area to go up by 40%. Cup Noodles, the instant ramen noodles snack from Nissin-Ajinomoto, is being promoted in Brazil with the launch of drones with cows, chickens, corn cobs and shrimps. The two and a half minute film created by Dentsu Brazil for the brands online campaign, uses drones to take the instant noodles to surfers, skateboarders and highline walkers as they practice their sport. Azerbaijan has the world’s highest number of children born with the blood disorder thalassemia, a hereditary disease primarily found among Mediterranean cultures. The illness requires extensive blood transfusions for babies, and hospitals often lack the needed amount of donated blood. So Y&R Moscow partnered with Azerbaijan cellular network Nar Mobile to re-imagine blood donations for today’s digital world. 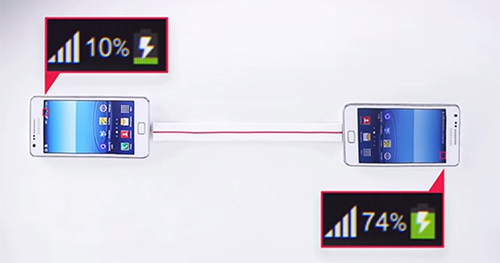 Together they created a special wearable bracelet that let smartphone owners easily donate power to another. The unique “donor cables” were an instant hit and the country saw an increase in blood donation by 335%. The new boost technology in the running shoes from Adidas helps return energy to runners. 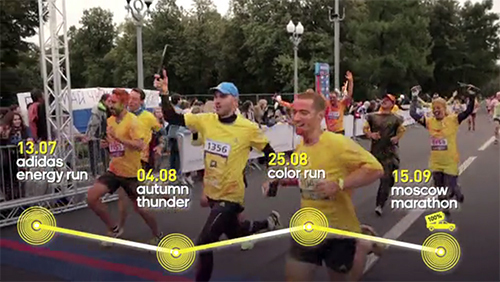 To promote this, TBWA\Moscow developed a unique running project called “Charge the city with the energy of running”. The project covered 4 running races i.e. Adidas Energy Run, Autumn Thunder, Color Run and the Moscow Marathon. All runners who participated in them were given mobile generators that transformed kinetic energy into electricity. The collected energy from these hundreds of runners was then channeled to illuminate a stadium in the town of Protvino that has had no light since 1984.